How and Why Other Countries Celebrate Thanksgiving - Niki's Int'l Ltd.
Nowadays, Thanksgiving is a holiday that brings American families together to bask in what they are thankful for over the dinner table while eating turkey, mashed potatoes, macaroni and cheese, cranberry sauce and green bean casserole. Many dishes are made from age old recipes allowing family members to join one another in the preparation of an extravagant feast. Thanksgiving actually commemorates a harvest festival celebrated by the Pilgrims and Native Americans in 1621, and is held in the United States on the fourth Thursday of November. During the fall of 1621, the Plymouth colonists and Wampanoag Native Americans ate an autumn harvest feast that is now known as one of the first Thanksgivings. 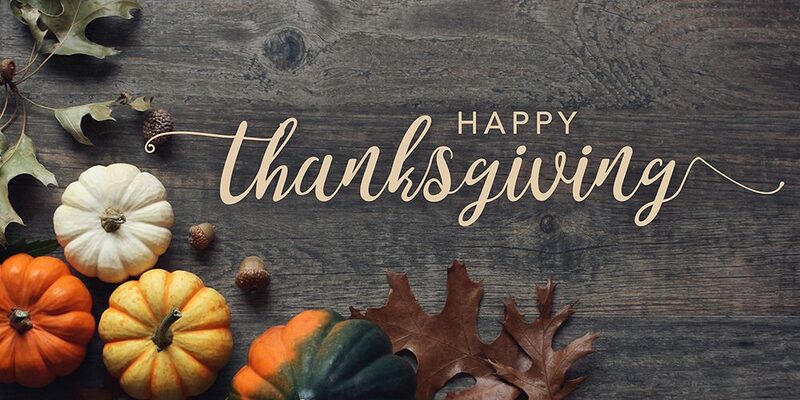 Over the next two centuries, Thanksgiving was celebrated by individual colonies and states, but in 1863 President Abraham Lincoln proclaimed Thanksgiving be held each November. Today, we continue the tradition in not only the United States but Canada, Liberia, Leiden (a town in the Netherlands), Grenada and the Australian territory of Norfolk Island. Canadian Thanksgiving commemorates the 1578 voyage of Arthur Frobisher, a British explorer who organized a meal for his crew when they made it to Canadian shores safe, sound and alive. The holiday is held on the second Monday in October and many of the same dishes enjoyed by Americans are served. There are plenty of sports to watch and parades to attend. The West African nation has origins from the United States, it became independent in 1847 when a group of Americans spent many decades making Liberia a home for former slaves. It’s the only other country in the world to celebrate American Thanksgiving as a national holiday. The spread includes mashed cassava, roasted chicken and of course green bean casserole. The Dutch do not celebrate Thanksgiving, however, there is a small town called Leiden in which holds a celebration annually on the same day as the American holiday. Prior to embarking on the journey to the new world, the Pilgrims hid from religious persecution in the town of Leiden. They stayed there from 1609 to 1620 and today they are honored through a Thanksgiving celebration. The celebration is a non-denominational church service on the fourth Thursday of November, followed by cookies and coffee. On October 16th, 1983, the deputy prime minister of Granada seized power and executed the prime minister. After this event on October 25th, the United States and allied forces from Caribbean nations invaded and overthrew the prime minister. This event led Grenadians to celebrate in thanks to the American-led invasion. Noga Shemer who wrote a dissertation on holidays celebrated in Grenada, attended a Grenadian Thanksgiving celebration in 2007 held near a memorial to the Americans who died in the Grenada conflict. Speeches were given and the “The Star-Spangled Banner” was played. Norfolk Island is tiny Australian territory in the Pacific Ocean, between Australia and New Zealand. The Norfolk Island tradition of celebrating Thanksgiving derives from American whalers. Norfolk Island was a frequently visited region for the whalers and they introduced foods such as cornbread and pumpkin pie to the locals. Norfolk Islanders commence their Thanksgiving celebrations on the last Wednesday of November, they eat an exquisite array of various banana dishes such as mashed bananas, banana pilaf, bananas baked into bread, green bananas in cream, and dried bananas. They also eat roasted chicken and pork. Today most people view Thanksgiving as getting together, cooking and sharing a bountiful meal with friends and family. Cultures and tradition may vary from country to country but joining together to rejoice in what you’re thankful for can be a universal tradition that transcends linguistic and cultural boundaries. Happy Thanksgiving from Niki’s Int’l Ltd.